Boost efficiency and eliminate network congestion with Antaira's Gigabit switches, ideal for high bandwidth and larger network applications. 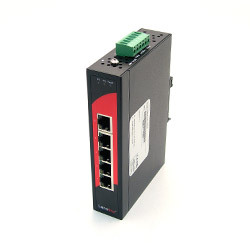 Antaira provides a wide range of industrial managed Ethernet switches that support Gigabit and fast Ethernet options with copper & fiber connectors. Antaira's Power over Ethernet (PoE) switches encompass a wide variety of 802.3af and 802.3at products including PSE & PD products. 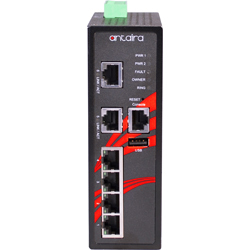 Antaira provides a wide range of industrial unmanaged Ethernet switches that support Gigabit and fast Ethernet options with copper & fiber connectors.